The contractors of the new apartment building The Pointe have pushed back the move in date twice, causing disruption for would be tenants and local residents. Hundreds of students were displaced after Pointe San Marcos apartments, student housing complex, delayed its original move-in date multiple times. Instead of moving into the residence on Aug. 15 as promised, students were left to find alternative housing while trapped in their leases until Oct. 13. The relationship between the residents and management began to deteriorate once communication fell short. Abigail Martinez, nursing sophomore, signed her lease in April. At the time, a representative explained to her they were two weeks ahead of schedule for the apartment’s opening. Martinez is one of many to lose a lot of her own money and even some financial aid money due to food and gas. Pointe offered gift cards to the tenants. However, tenants discovered they could only use the gift cards online. Unfortunately, should a prospective tenant decide to break their contract, they would owe all of that money as stated in their current lease, including any reimbursement due to the delay. Mark Evans, public relations manager for Pointe Apartments, said the developer of Pointe San Marcos has continued to work with the city to make sure the property is ready to welcome residents. Evans said the Pointe staff realizes the delays have been a significant inconvenience for students and their families. “Pointe San Marcos continues to stay abreast of the situation and is working tirelessly to ensure residents can move into their apartments as soon as possible,” Evans said. Pointe San Marcos is not the only apartment complex to receive backlash for a delay. Ella Lofts, Villagio, and many others experienced similar issues. What these apartments have in common is they are all purpose-built student housing—what many refer to as ‘rent-by-the-bedroom’ apartments. Kama Davis, staff attorney for Dean of Students, said the issue severely affects students. It is common practice for apartment complexes to allow prospective tenants to sign leases before completion of construction, however, it becomes a gamble for project managers and residents. Jane Hughson, City Council Place 4, along with others on council are pushing to get an ordinance passed in order to grant tenants the ability to break their leases within 10 days after their promised move-in date with full reimbursement. 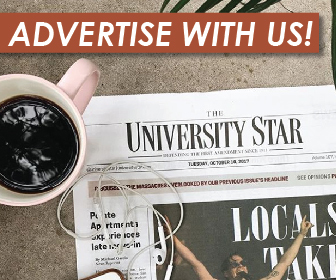 If there are students who are having issues or concerns over a lease, they can visit Off Campus Living at Texas State, a division of Housing and Residential Life.